Leap into Fun This Summer! The ultimate delivery of no mess, no guess and no stress water care for swimming pools up to 25,000 gallons. 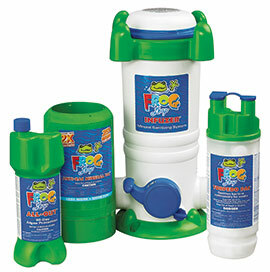 Frog Leap®’s patented all-in-one mineral delivery system, keeps pool water clean and clear. This unique Fresh Mineral Water pool system is designed to give you less maintenance and reduce the use of chlorine in your pool. With minerals your chlorine will last 2X longer. Less maintenance means more time to enjoy your pool. Easy Start-Up with Frog Leap Wake Up! Annual costs are comparable, if not lower, than using 3″ chlorine pucks in skimmers or floaters. There’s no sticker shock as found with salt and UV systems. FROG users rave about how little time is required to maintain their pool. No daily dosing. 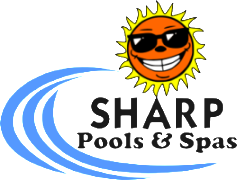 No lugging heavy buckets, and no concerns of salt corroding their pool equipment and surrounding areas. Still thinking about salt? Click here to learn the facts.